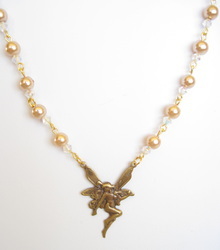 A delicate sprite dances on pearls and twinkling crystal. She's beautifully detailed and antiqued with my multi-step process that seals in the finish and seals out tarnish. 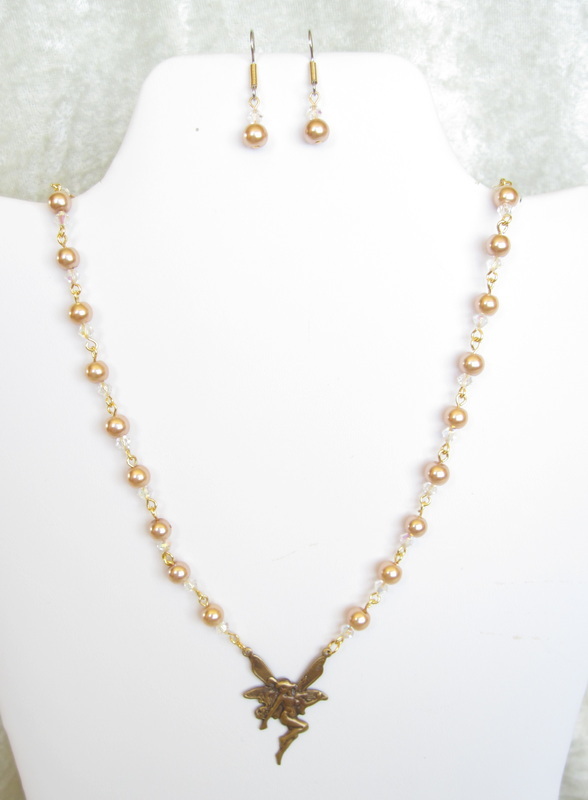 Bronze tone glass pearls are the perfect complement, and Austrian crystal glitters like perfect dewdrops on her enchanted meadow. 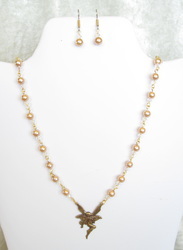 The necklace measures 21"; the matched earrings dance 1/2" below surgical steel french wires. 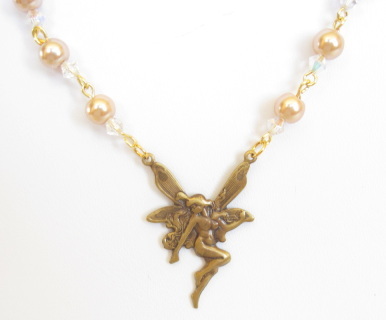 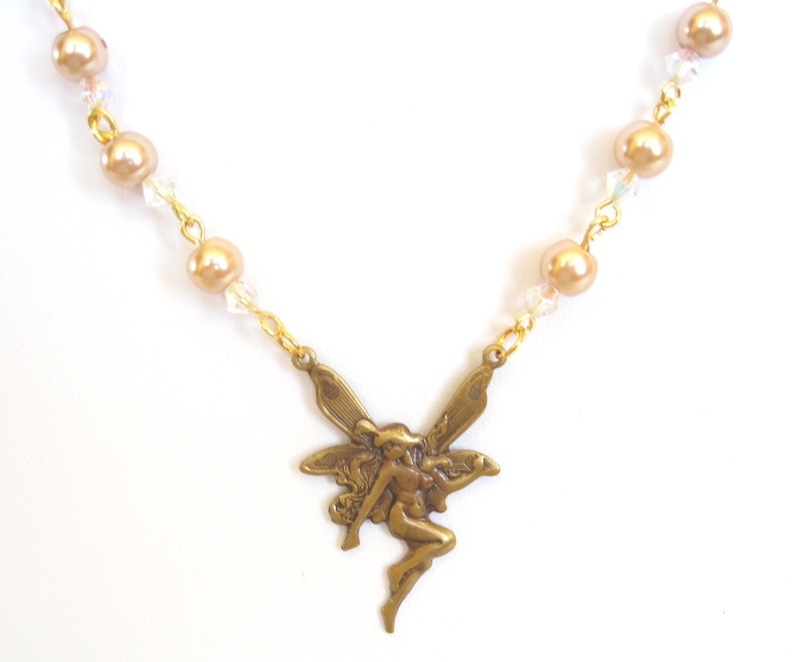 Show the faerie spirit in you!